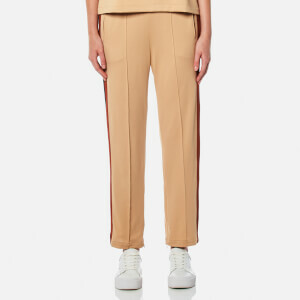 Women's printed trousers from Ganni. Cut from lightweight fabric with a repeat floral print, the 'Harley' straight leg pants feature an elasticated waistband and two decorative welt pockets to the hips. Complete with contrast piping to the outside leg. Main: 100% Viscose. Lining: 50% Viscose, 50% Rayon.